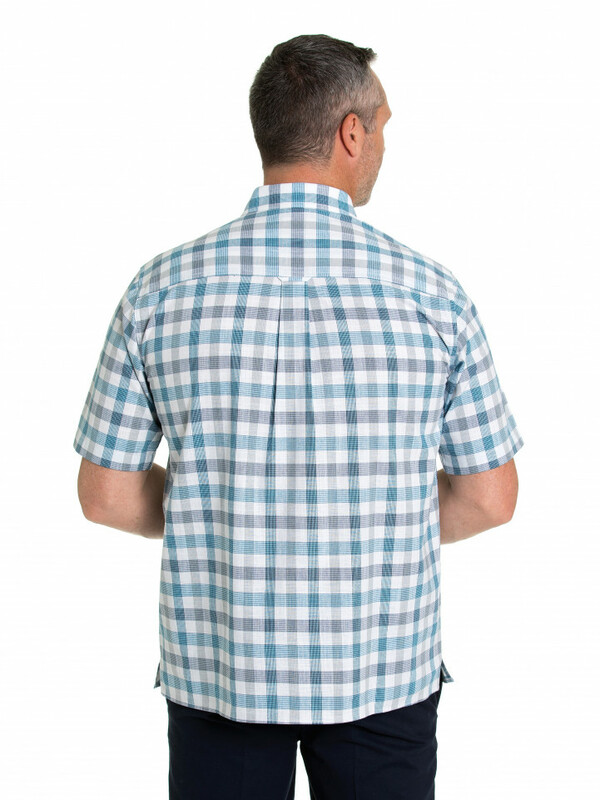 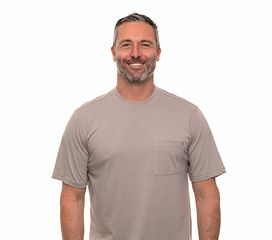 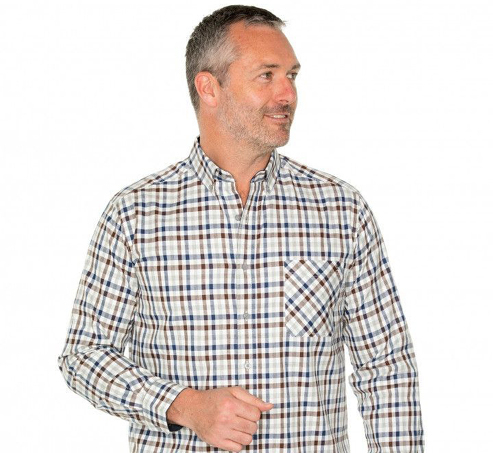 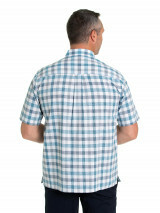 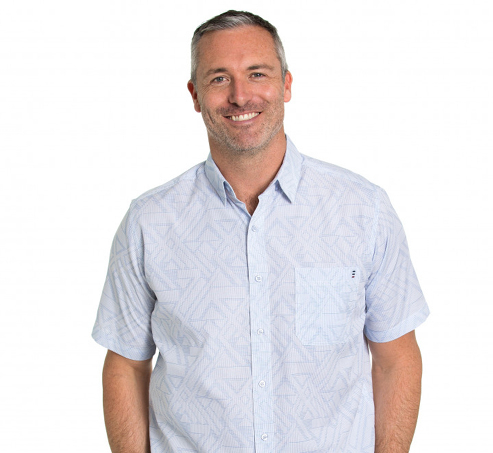 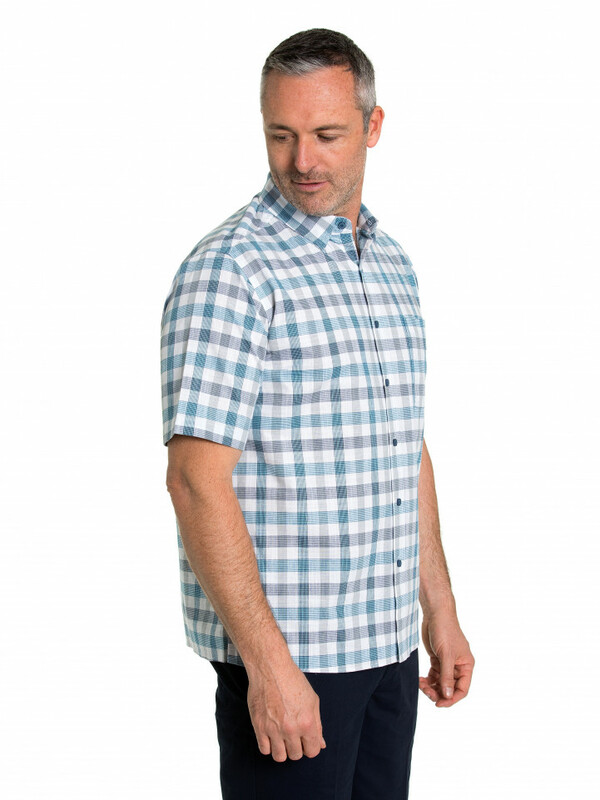 The Sam Flaxley Shirt features a unique breathable fabric exclusive to Breakaway and a cool checked design. 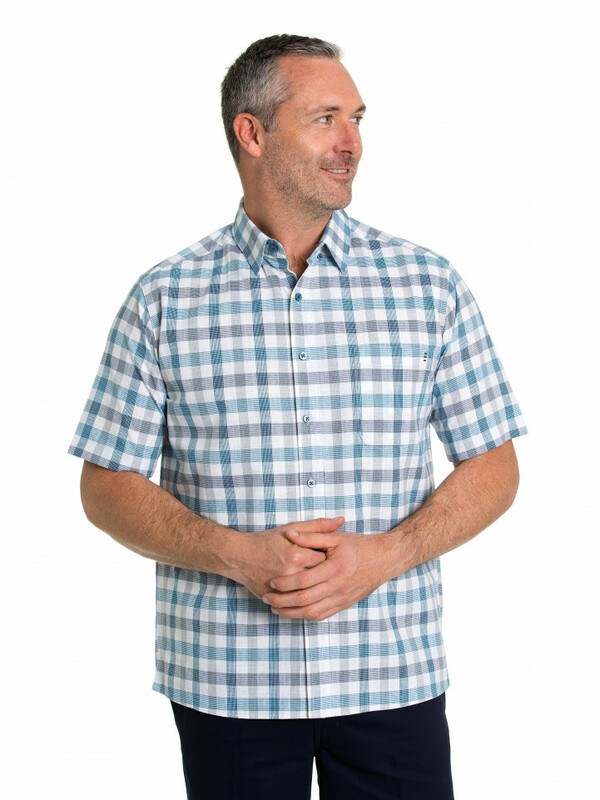 Made from 100% cotton with a loose weave, this shirt has a crisp, cool feel to the touch and a linen appearance. 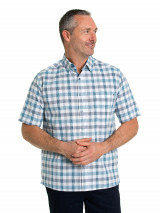 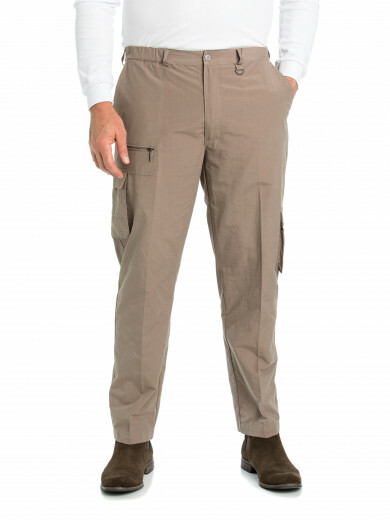 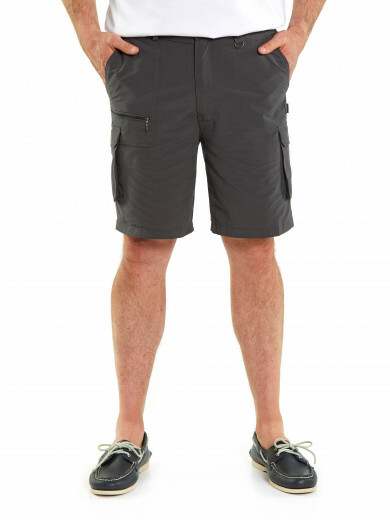 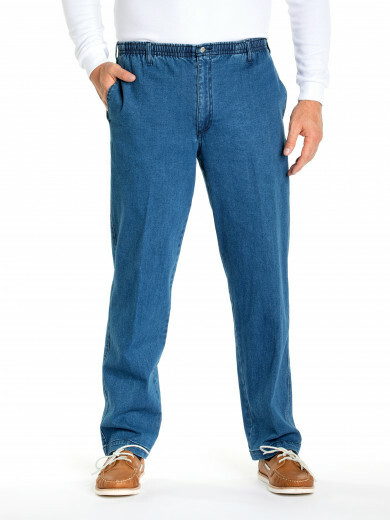 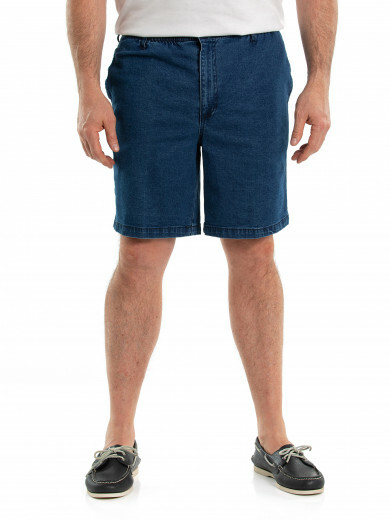 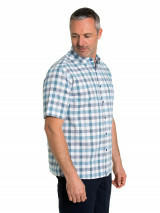 The button up front, short sleeves and collar present a smart and casual look that would pair well with jeans or shorts.